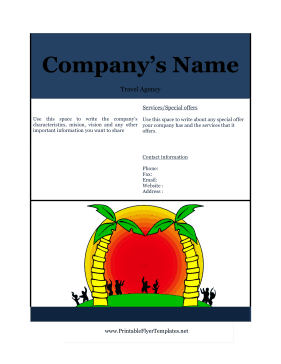 Your travel agency will catch many eyes with this warm and inviting travel flyer. Two palm trees frame an exotic getaway on the sign, which includes lots of room for information about your services. Between the blue and orange colors, your flyer is sure to stand out. You can even add any specials you are currently offering!